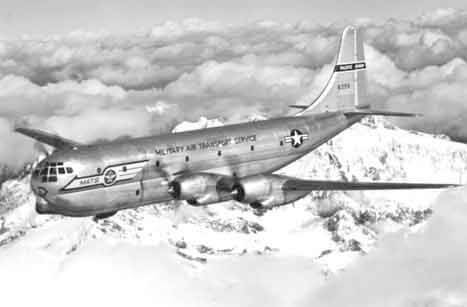 The C-97 was a transport version of the Boeing B-29 bomber, using the entire wing and powerplants of that aircraft, and the first variant first flew in 1944. 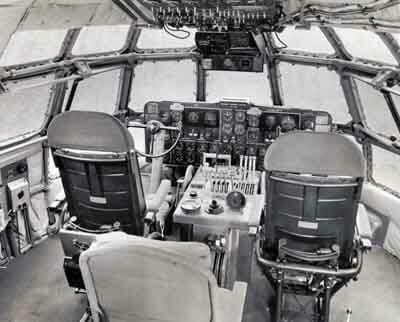 Production versions were developed using the engines and empennage of the later B-50, and were principally used for aerial refueling duties, although examples were used as Aerial Command Posts, VIP transports, test-beds, etc. 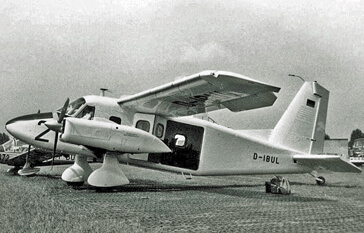 The aircraft could carry 16 tons of freight and had clamshell doors beneath the tail to allow drive-on loading, but these could not be opened in flight. 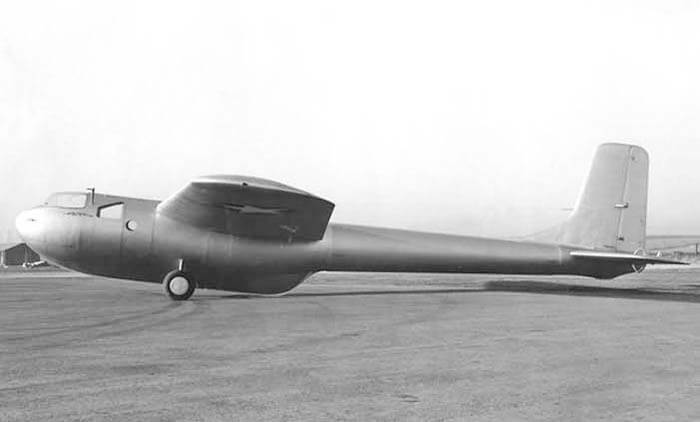 The C-97 was the first mass produced transport to feature pressurisation. 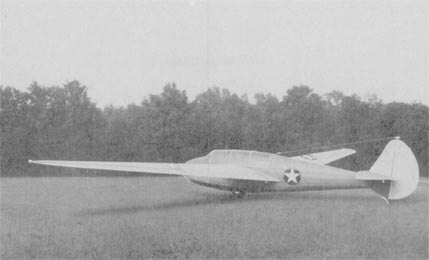 888 examples of several variants had been built when production ended in 1956 and these remained in service with Air National Guard units until the early 70’s. 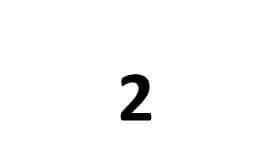 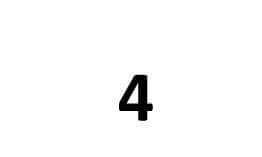 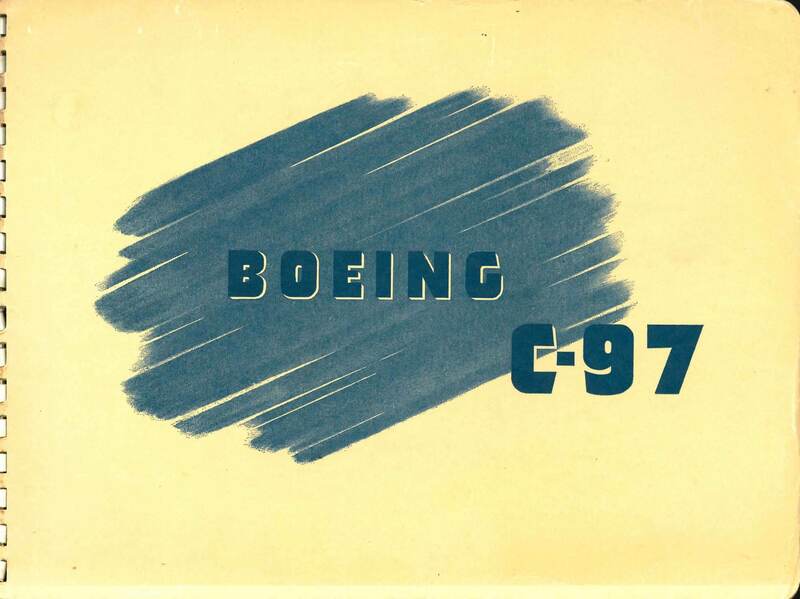 We offer five titles for various marks of the Boeing C-97. Each title is US$9.95. Each file has been scanned from the original flight manuals and retains any colour pages, unless otherwise stated. 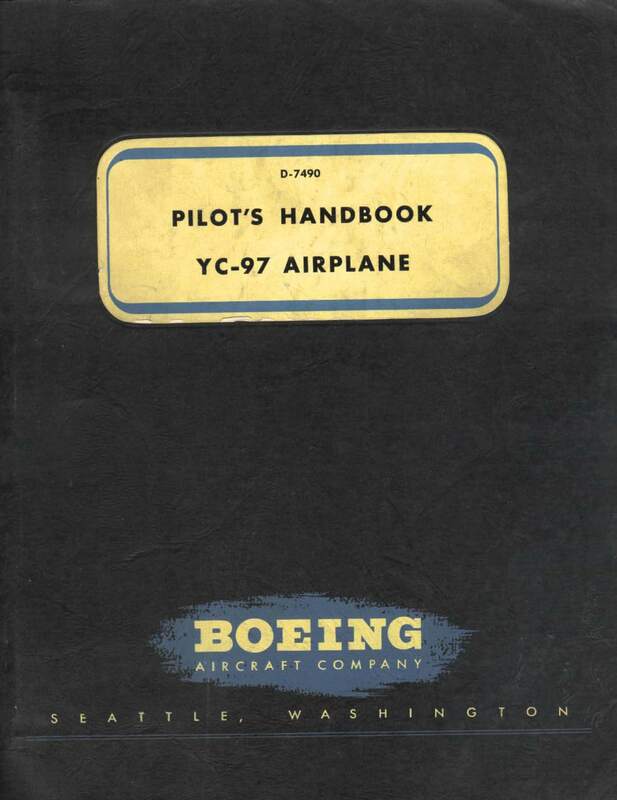 Manufacturer produced Pilot’s Handbook for the Boeing YC-97, one of the first variants which used B-29 components. 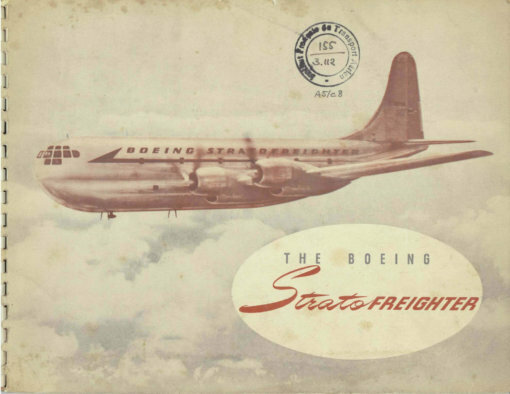 Boeing Document D-7490 dated 15-1-47, with approx 78 pages. USAF Handbook of Flight Operating Instructions for the VC-97D, a luxury staff transport aircraft for VIP’s. 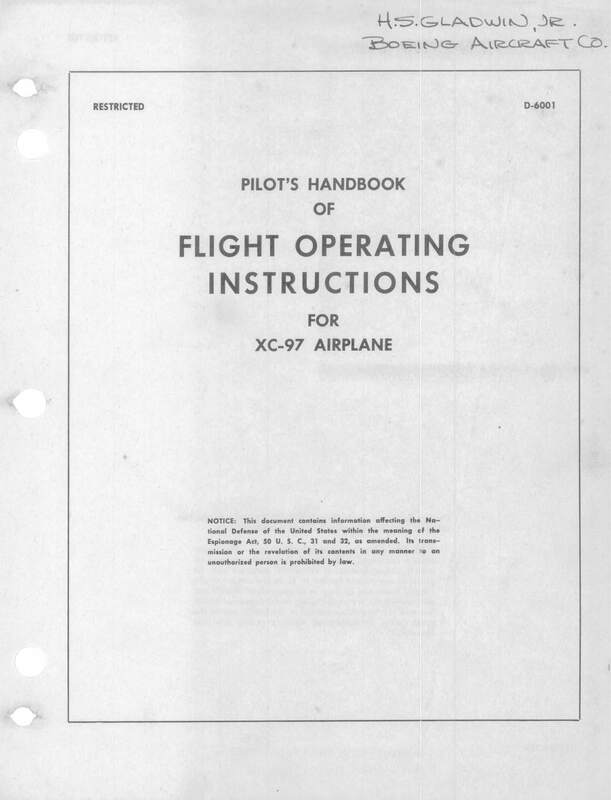 AN 01-20CAE-1 dated 15-6-51, with approx 330 pages. Manufacturer’s brochure for the Boeing Stratofreighter, document D-8794 undated with approx 34 pages. 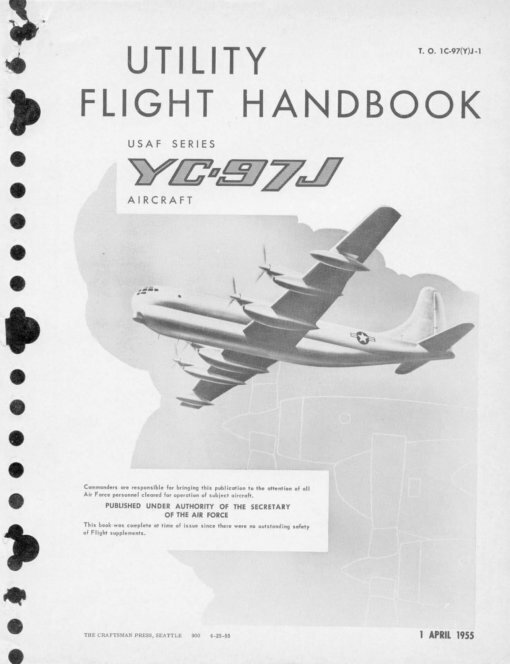 USAF Handbook of Flight Operating Instructions for the KC-97E, AN 01-20CAG-1 dated 10-8-51, with approx 337 pages. 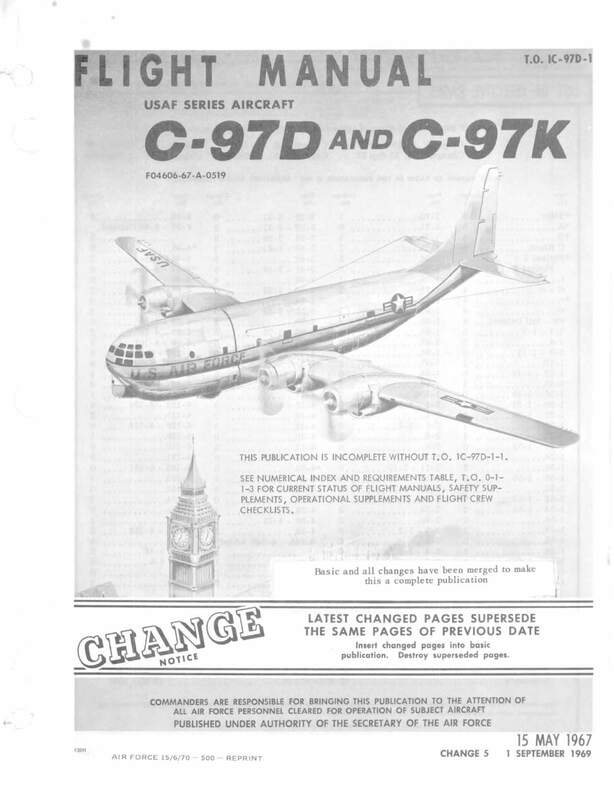 Manufacturer’s brochure for the Boeing C-97, document 6608 undated with approx 30 pages. USAF Flight Manual for the C-97A & C, T.O. 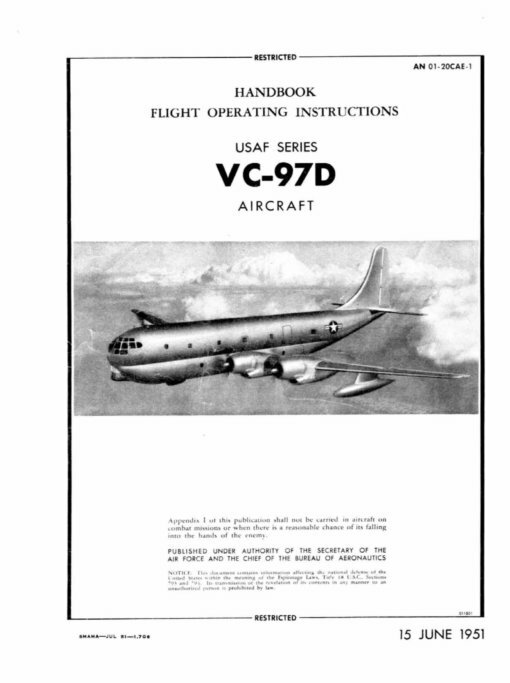 1C-97A-1 dated 15-6-62 revised to 15-10-62, with approx 360 pages. 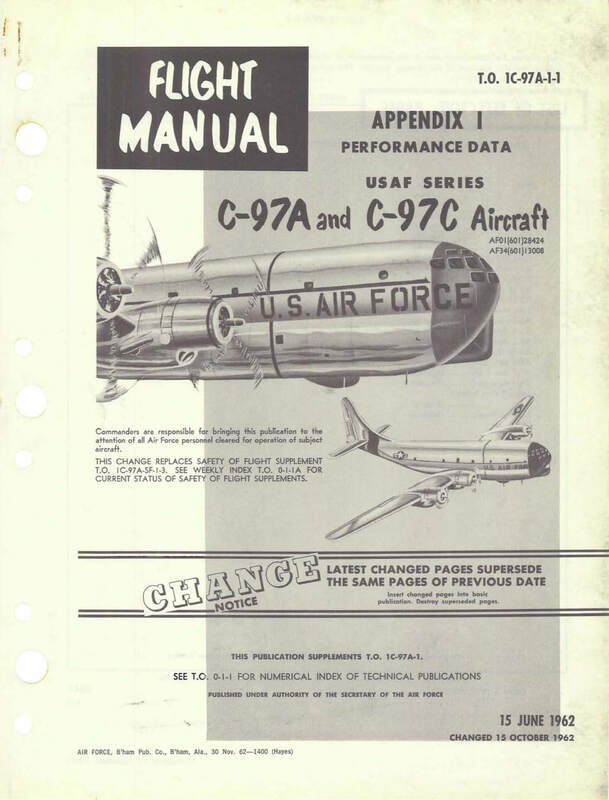 USAF Flight Manual Appendix 1 Performance data for the C-97A & C, T.O. 1C-97A-1-1 dated 15-6-62 revised to 15-10-62, with approx 160 pages. 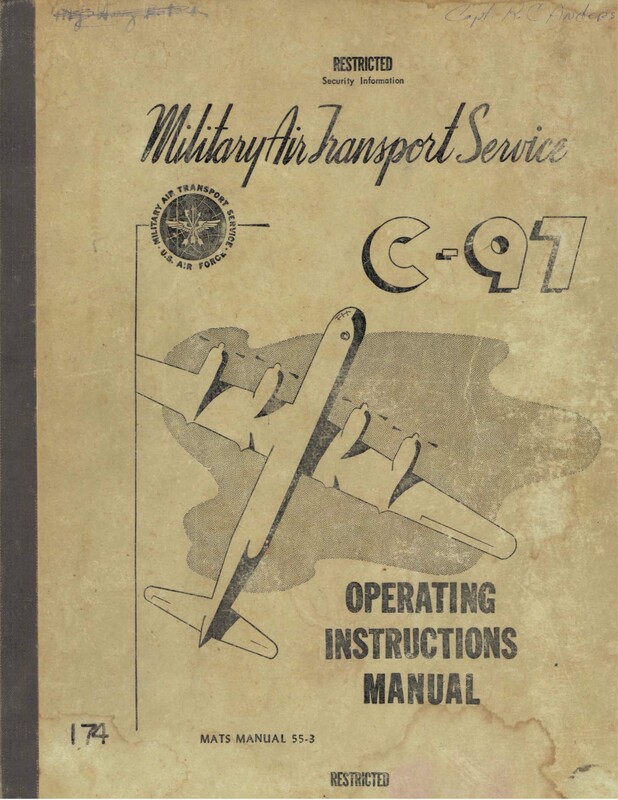 USAF MATS Operating Instructions Manual for the C-97, MATS manual 55-3 dated 1-5-52 with approx 87 pages. 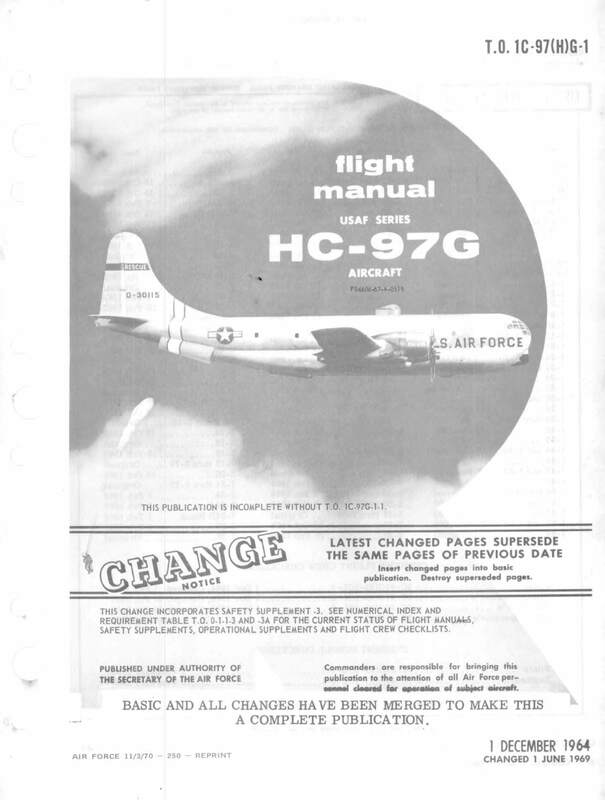 USAF Flight Manual for the HC-97G, T.O. 1C-97(H)G-1 dated 1-12-64 revised to 1-6-69, with approx 490 pages. 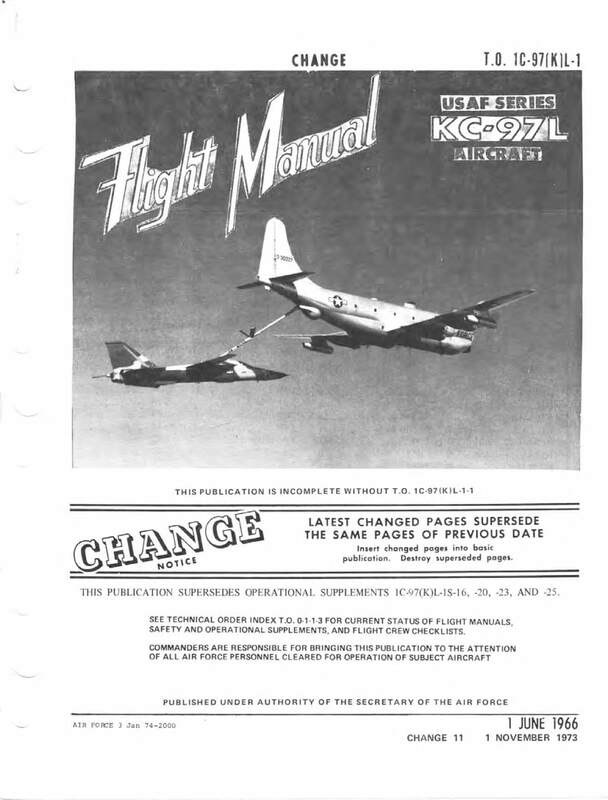 USAF Flight Manual for the C-97D & K, T.O. 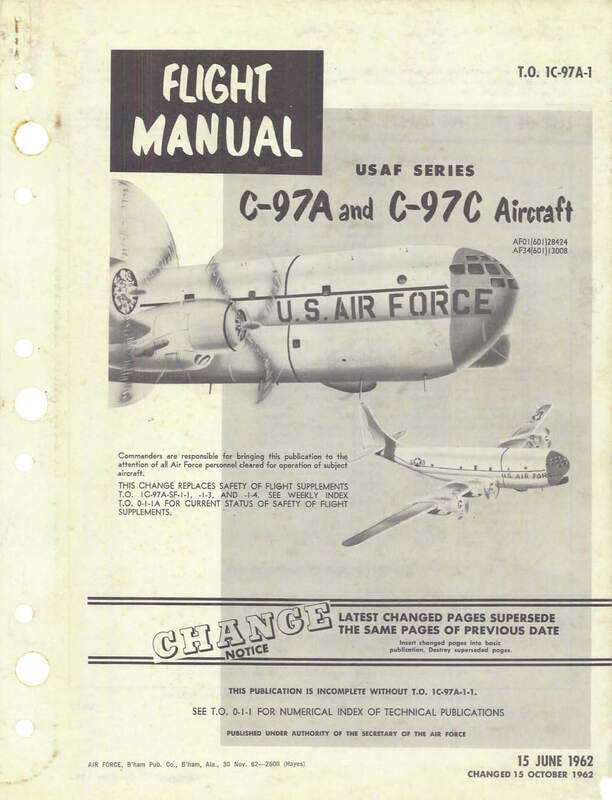 1C-97D-1 dated 15-5-67 revised to 1-9-69, with approx 488 pages. Manufacturer produced Pilot’s Handbook for the Boeing XC-97, the very first variant using B-29 components. Document D-6001 undated with approx 76 pages. USAF Flight Manual for the KC-97L, T.O. 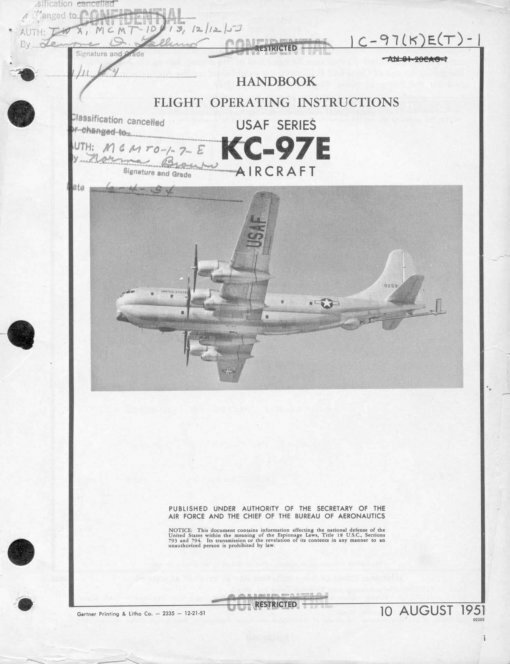 1C-97(K)L-1 dated 1-6-66 revised to 1-11-73, with approx 514 pages.